What’s Your Nursery Design Style? 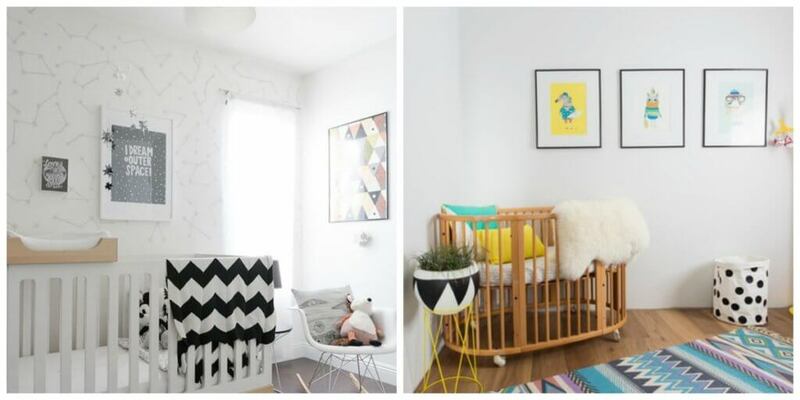 You are here: Home / Baby at Home / What’s Your Nursery Design Style? A new baby changes everything, ranging from your emotions to your bank account and the design of your house. If you are planning on designing your little one’s first bedroom any time soon, first you should consider different styles and how you can fit them in into your existing space. But how can you choose with so many choices put in front of you? In this article, we’ll try to help by giving you some basic information about the most popular nursery design styles out there and tips on how to implement them. When in doubt, go with the good old classic look. 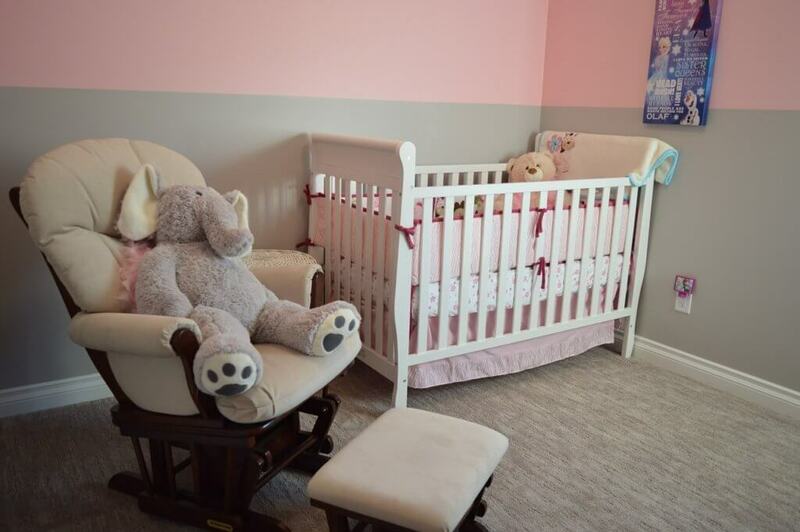 The traditional nursery style usually includes a lot of white or gender specific colors. The crib is also white. If you want to break the monotony, you can introduce statement wallpaper. A comfy armchair is everything you need for comfortable seating. Shelves and boxes will serve as great toy storage. Vintage nursery rooms have a sweet homey feel to them, and that is just about everything you could wish for your baby. They are characterized by warm color palettes, whitewashed furniture, reclaimed wood, sophisticated patterns and elegant lighting fixtures. The crib can serve as the centerpiece, so choose well. Carved wood is a good idea and you can even add a canopy for that extra fairytale feel. Paneled walls would be a nice touch too. 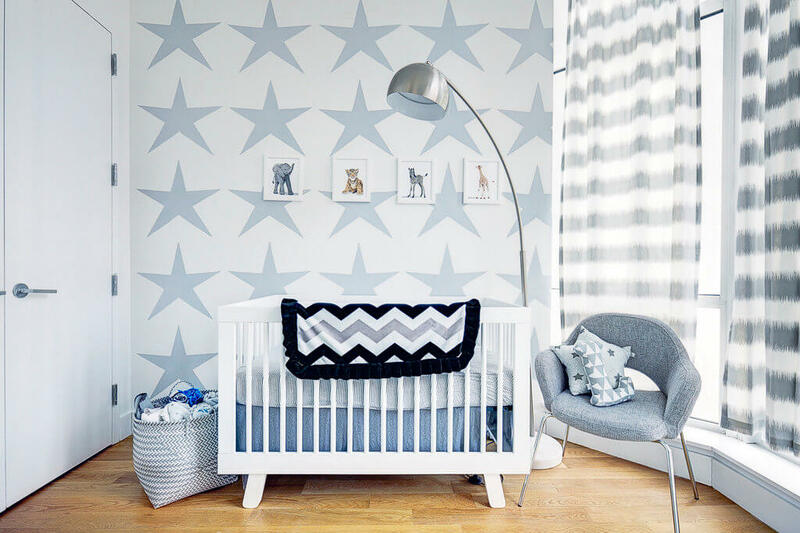 The Scandinavian design is currently one of the most popular approaches to nursery décor, and it is not that hard to see why. Although very simplistic, this style reflects a unique warmth and elegance. This design combines the soft timber look with minimalism, neutral walls (usually white or grey), statement artwork and black and pastel accents. We suggest a pale wood cradle, pastel sheets, a black and white kids’ toy basket and woodland animal artwork. Your little one deserves the best, and what can be better than a luxurious nursery? Since the crib is the most important furniture piece in the room, you should begin with an elegant and impeccable cot. Luxury cots are usually made from metal or wood (walnut, mahogany or oak) and they feature exquisite ornate details. Antique armoires can serve as storage and up the glamour to a royal level. Other things you can include are a crystal chandelier, satin, lace and metallic accessories. Shabby chic is warm, friendly and a very feminine design style. The prevailing colors in the room are pastel pink and white, but you can also introduce warm neutrals and other pastel shades. It is common to introduce floral patterns, through bed sheets, curtains and/or wallpaper. Yet again, the chandelier can serve as a fantastic centerpiece, so choose a striking luxurious piece. We had shabby chic as the ultra feminine nursery style, so we have to compensate to all those little men out there who need their man caves. How to design a little man cave? Just think about everything a grown man would use and make it small, cute and age-appropriate. A reclaimed wood wall? Check. Faux animal heads? Check. Sheepskin pelt? Check. It is important to add some dark colors, deep wood tones and an earthy vibe. The style you choose for your nursery will determine the appearance of the environment in which your baby will grow and feel most comfortable. Therefore, put some thought into your choice and don’t rush when making the final decision.